TUESDAY, Jan. 9, 2018 (HealthDay News) — Breakthroughs in breast cancer screening and treatment have slashed the percentage of women dying from the disease, a new analysis reveals. 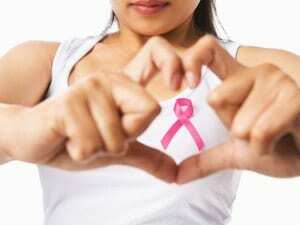 “For the period between 2000 and 2012, there were some advances made in the technology for screening for breast cancer, but there was greater impact made by treatment,” Lichtenfeld said. On the other hand, screening still plays a large role in saving the lives of women with so-called “triple-negative” breast cancer, which is not driven by either hormones or genetics. Triple-negative cancers account for about 12 percent of all breast cancer cases, but are nearly twice as common in black women than white women, according to the American Cancer Society. “Early detection makes the systemic treatment better as well,” said Hayes, who’s also immediate past president of the American Society of Clinical Oncology. “Most of us who take care of patients still believe rational screening programs are good public health policy. No matter what kind of cancer you have, detecting it early with screening and then treating it substantially reduces your risk of dying from it,” he added. The findings were published Jan. 9 in the Journal of the American Medical Association.